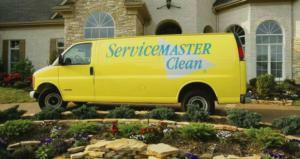 KALAMAZOO, Mich. — For more than 60 years, ServiceMaster Clean of Kalamazoo, a local commercial and residential cleaning service franchise, has been committed to being a trusted resource to our customers while dedicating our services to doing more than just the job. Today, we are proud to announce our recent investment in the Clorox® Total 360® System to enhance our disinfection protocols as a part of our commitment to providing the highest quality cleaning services to our customers’ facilities. Last year, a widespread outbreak of influenza plagued Michigan, with Kalamazoo making national headlines for being hit particularly hard. According to the Michigan Department of Health and Human Services, there were a total of 1,616 influenza-related hospitalizations reported in the state for the 2017-2018 season.1 High-touch surfaces in public spaces are breeding grounds for commonly spread pathogens leading to highly contagious outbreaks that can be detrimental to facilities, from losses in productivity to reputational damage. With last year’s burdensome influenza season behind us, ServiceMaster Clean of Kalamazoo has proactively prepared for future outbreaks with the power of electrostatic technology to help keep customer facilities protected from germs that may cause illness. We currently service a roster of customers in the southwest region of Michigan including commercial offices, hospitals and clinics, dental facilities and schools. From the undersides of desks to the difficult-to-reach areas in high-traffic hospital settings, the Clorox® Total 360® System helps cover more surfaces in less time. With time and labor saved, our team can spend more time focusing on valued customer service. The Clorox® Total 360® System works by using electrostatic technology to charge Clorox® disinfecting and sanitizing solutions. The positive charge attracts the solutions to targeted surfaces with a force stronger than gravity allowing them to uniformly wrap and coat surfaces, including even the hardest-to-reach areas that can be often missed by manual cleaning. By integrating this cutting-edge electrostatic technology, it also allows staff to do the job faster and smarter – the system can cover up to 18,000 sq. ft. per hour, using 65% less solution and working up to four times faster than traditional cleaners – delivering a higher value service and better protection for customers.